Long associated with the eternal, the circle is the ultimate symbol of the eternal, the infinite. Our talisman charm necklace is a personal reminder of the connections that bind us together. Wear this beautiful shining disc as a reminder of eternal love. 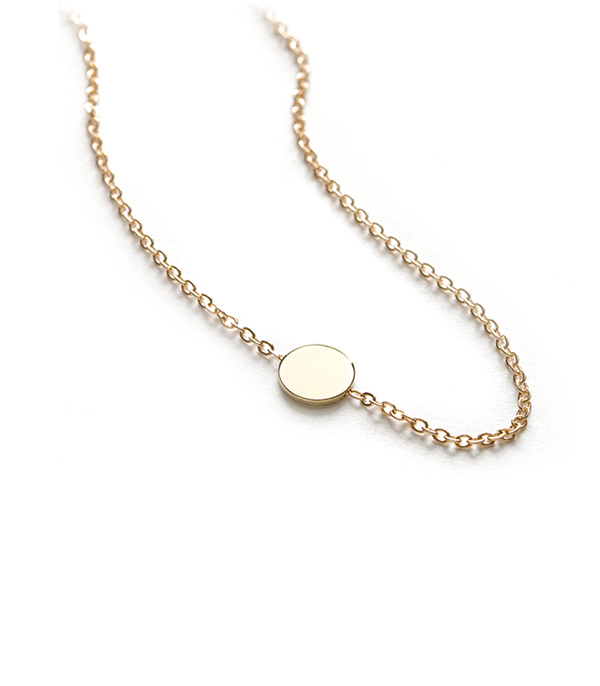 We think this charming layering necklace would make a fantastic everyday piece that’s easy to pair with your statement necklaces and adds just enough sparkle for that daily coffee run. Powerful and delicate, this charm necklace makes a great gift to your best friend as a reminder of the bond between two souls. Categories: Charming, Classic Darling, Necklaces, Under 500.